But what if there are no kids? Perhaps she can be the Hospitality Coordinator for their little congregation of two. Cooking, housekeeping, entertaining – all of this and more could be her responsibility under her husband/pastor’s leadership. And if they do later have kids she can then add Children’s Ministry Director to her titles because it’s a sure thing the Pastor won’t be hiring a Hospitality Coordinator to fill in for her; that would be bigamy. She’ll just have to find a way to take care of all that herself. This is nothing new, of course. God told his people under the Old Covenant the same thing. The entire nation of Israel was to be a kingdom of priests (not the Levitical priesthood but a priesthood comprising all God’s people) for the benefit of the whole world. How much more under the New Covenant are all of God’s people, as Peter says, to be priests declaring God’s praises. Neither Moses nor Peter qualified their teachings by identifying men alone as the priestly ones declaring that praise. And besides, nowhere in the Bible are we told that a family is a mini-church congregation. 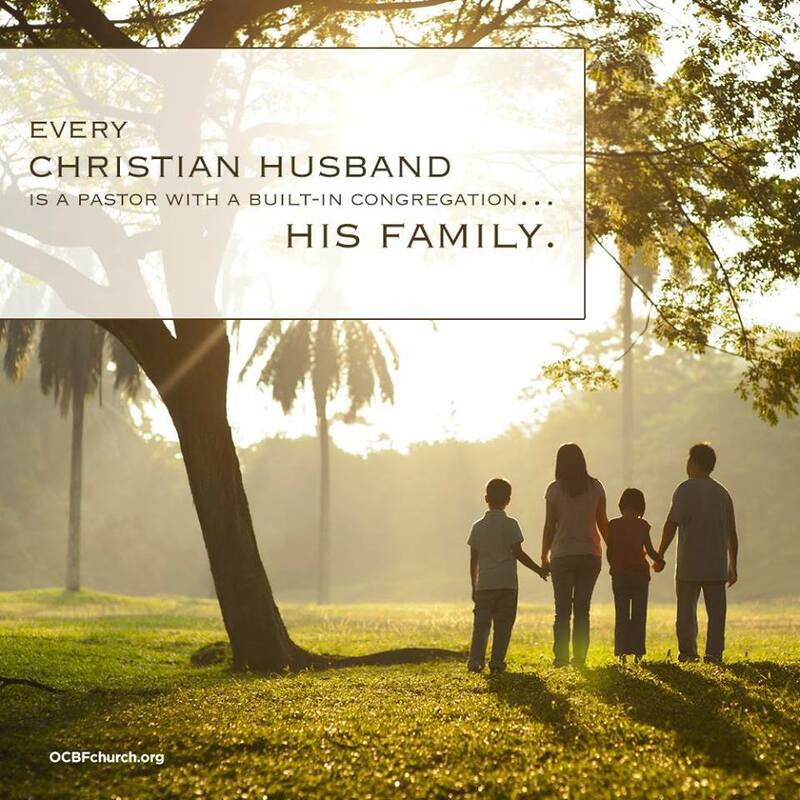 So I’d rather not hear unscriptural nonsense about husbands being pastors to their families, and read more teaching on God’s grace in bringing women and men both into the royal priesthood comprised of all believers in Jesus. This entry was posted in Uncategorized and tagged Biblical Manhood, complementarianism, Dr. Tony Evans, Egalitarianism, patriarchy, Priesthood of Believers. Bookmark the permalink. 30 Responses to If Dads Are Pastors Of Their Families, What Does That Make Moms? I really can’t think of anything to say except that their theology just gets more and more ludicrous. This really does seem made up out of whole cloth. A family is a mini-congregation? That’s not what the Bible says, but it fits in with patriarchal thinking quite well. She can be whatever she wants to be and the church doesn’t have to get two for one. My nephew is married to a pastor and she and he recently preached at each other’s churches so each congregation could get acquainted with their pastor’s spouse. It sounds like those churches are blessed by the way your nephew and his wife serve their congregations, Carol. That’s ridiculous (and by ridiculous I mean ludicrous). … and by ludicrous do you mean “Wow, where do they come up with this stuff?” That’s what I wonder, anyway. Ranks right up there with the (also extra-Biblical) phrasing that husbands are the kings, priests and prophets of their home. Ridiculous, isn’t it? We have no king but Jesus, and his word says all of us are royal priests. One of the families in my church left to form their own one-family congregation. I was so sad to see them go, because they are an awesome family filled with awesome people. But Christ didn’t call us to be insular. They had so much to offer to the rest of the body of Christ. If a family could be a congregation, then Hebrews 10:25 is irrelevant as long as at least one member of your family is a fellow believer. What would be a better message for this meme? That photo is too beautiful to waste! (I’m a sucker for a gorgeous piece of art or photograph.) Maybe something about loving each other, or how the heavens declare the glory of God, or something like that. Or the I Peter verse about us declaring the praises of God, who called out of darkness and into his light. Or something about God’s mercies being new every morning? That is one of the most ridiculous claims I’ve seen! Husbands and wives should be regarding one another as their soul mates and true companions not as pastors. We don’t marry someone because we’re looking for a pastor. “We don’t marry someone because we’re looking for a pastor.” Best line of the day, Carlene. That makes me think of a pastor I know, whose wife declared loudly as a young woman that she would never want to be a minister’s wife. He retires from his last church in 5 years, at 67, and she will have her wish! He was truly the best pastor I’ve ever known, and she faithful supported him, but decided not to take an active role…she worked as a theatre nurse. However she did her bit and more at the manse, cooking, entertaining, sharing with people, and mixed with the congregation in her own way, but we knew it was not easy for her. He was a gem, and appreciated her loyalty and support, and said so frequently from the pulpit. Such a loved couple in Christ, we are the poorer for them going on to their final church. It sounds like that couple was a wonderful set for your congregation, Ruth. Dave comes across with some good insights. Pastors are to nurture, but they don’t stand in for our heavenly Father. They act as servants under the guidance of the Holy Spirit, as we all do. I really dig how these teachings never take into account adults who don’t fit the template. I guess all the dudes out there without wives have nobody to minister to. Women who are widowed, never married, or divorced have no pastor. Sigh. As of 2014, half of the American adult population is single, with a larger percentage never-married. Do most churches who promote this sort of thing notice or care? Not usually, nope. Too true. They don’t have a comprehensible doctrine for adult women and men who don’t have family in the home. I know many Christians who fall into that category. I remember seeing one complementarian book that taught that the father is “prophet, priest and king” in his own home. Because that’s not blasphemous or anything. Complementarians and other hierarchists have every reason to abandon this false, borderline blasphemous teaching. Their theology just doesn’t call for it. Good insight, Bridget. We are a royal priesthood together, but have only one King and he is Jesus. As for every father being a prophet, god luck with that. Prophecy is a gift of the Spirit and not everyone has it just as not everyone is given to be a teacher. To answer the question in the title, the wife is equivalent to the church elders. She advises the husband, watches iver him, and if necessary corrects him, maybe even fires him under certain circumstances. While we are at it, let us all zoom in and park at 1 Peter 2:9 and ignore all other passages about different people in a church congregation being pastors, teachers, evangelists… That way, everyone in the whole congregation can be priests without all the hassle of roles and “ministries”. Everyone in the congregation actually is a priest. There are differing ways to minister, but only one priesthood of believers. Pastor means shepherd, someone who takes care of the flock, protects them and feeds them. Who ever heard of a female shepherd? Oh wait. Besides the fact that Moses and Jacob both married shepherds in the opening pages of the Bible, I was also thinking of Little Bo Peep. She’s pretty famous. Not the best role model though. The romantic interest in The Song of Solomon was a lady shepherd too.